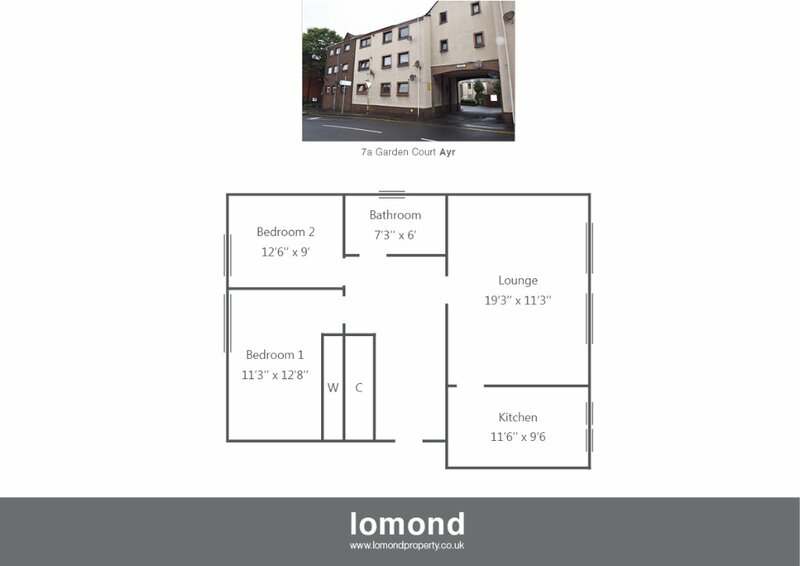 Well appointed ground floor purpose built apartment offering spacious accommodation comprising, entrance hallway, good size lounge giving access to breakfasting kitchen which included most appliances, two double bedrooms and bathroom. Set within a residential courtyard the property is accessed via security door entry system. Within the hallway there are two storage cupboards, wall dado rail and hardwired ceiling smoke detector. The lounge has two double glazed window aspects with fitted roller blinds, ceiling hardwired smoke detector & has sufficient space for dining area. Door gives access to breakfasting kitchen with wall & base units, wall mounted gas combi boiler ceiling heat alarm 7 appliances (excluding washing machine) included in the sale. There are two generous bedrooms - one with built in wardrobes. The three-quarter tiled bathroom has modern white three piece suite and over bath shower. Warmed by gas fired central heating the property also benefits from being double glazed with resident parking. The property is ideally located close to all local amenities & transport connections. Ayr town centre is only a short walk from the apartment & offers a wide variety of local shops, bars & restaurants. From our office in Prestwick proceed south on Main Street to Ayr Road. Continue through traffic lights at Prestwick Toll onto Prestwick Road (Ayr). Proceed over Tams Brig & at mini roundabout take the second exit. At the "King Street" roundabout take the third exit and turn left before the traffic lights into Garden court turning right into the courtyard under the archway.